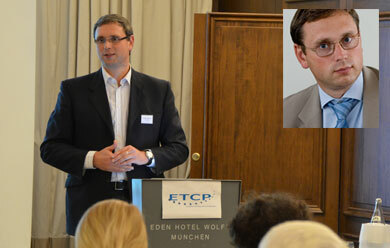 ETCP collaborates with many international experts coming from all over Europe. 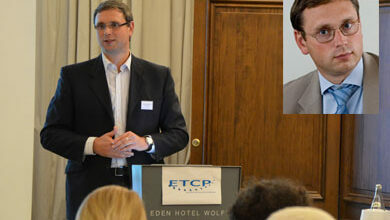 This month, we would like to introduce Mr Audrius Zabotka, Financial Key Expert, member of ETCP network since 2012. Audrius will lecture seminar on Financial Instruments with Ms Susanne Volz from 21 to 22 April 2016 in Munich. Mr Zabotka is a practitioner in design, implementation and improvement of Financial instruments and Global Grant measures. He has a strong expertise in day-to-day management of Financial instruments (FI) and Fund of Funds (FoF), monitoring and control at the level of Financial instruments, Financial intermediaries and final recipients. Director General at INVEGA, he is a Member of the fi-compass expert group to EC, the Monitoring committee on management of OPs 2007-2013 and 2014-2020.